Tonight as I rocked you to sleep I looked down to see you cuddled deep into my arms and my chest and my belly and I felt so....very very full. You couldn't snuggle in close enough, and that's how I like it and at that moment, I knew I was a good momma, because my boy loves me so very much. And although you can't yet speak, you tell me just how much you love me every single day. Sometimes it's in a squeeze, often times it's in the smile you have reserved only just for me...but every time it happens, well...it's magic. 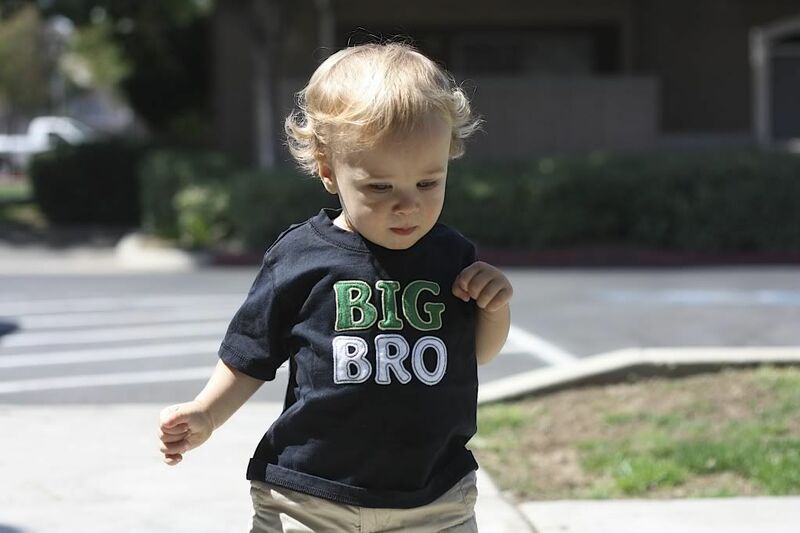 We call you so many things....Grey-by, Baby G, Bitty G, Monkey....today we add a new one to the bunch...Big Brother....My heart already swells with pride for our adventures to come. And I know soon, sooner than we think, as we have our nightly snuggles we will make room in between us for our next precious bundle.